First of all I want to say THANK YOU to each and every one of you who left a thoughtful comment on our Laundry Room Makeover. I was seriously blown away by all the kind words and am just so glad you guys love that space as much as we do! I’m still making my way through all the ORC posts and am feeling so inspired and grateful to be amongst so many talented ladies. Now that it’s over, I don’t know what to do with myself! It feels weird that it’s all done and there’s nothing left in there to do. Except lots of laundry of course 😉 I’m already plotting what room we’ll take on for the next ORC in the spring. But until then, it’s time to share some of the tutorials from this space! 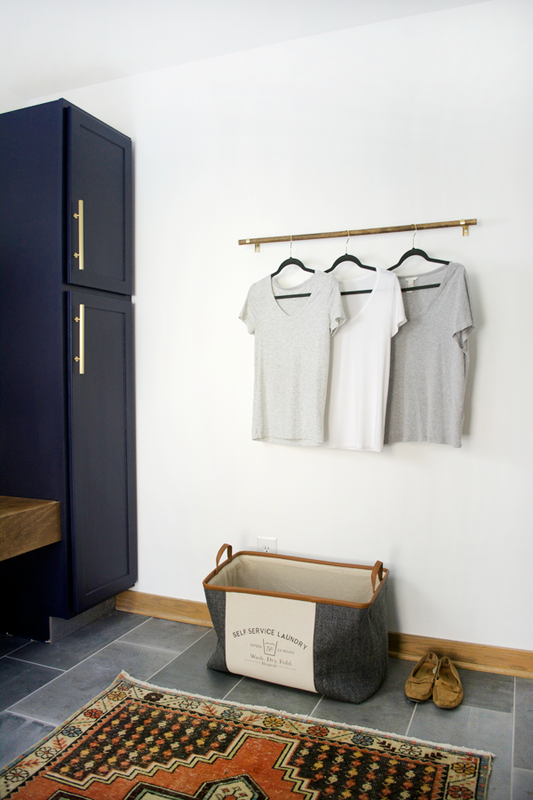 This DIY Simple Clothes Rack I created was the perfect way to fill up some space on an empty wall. 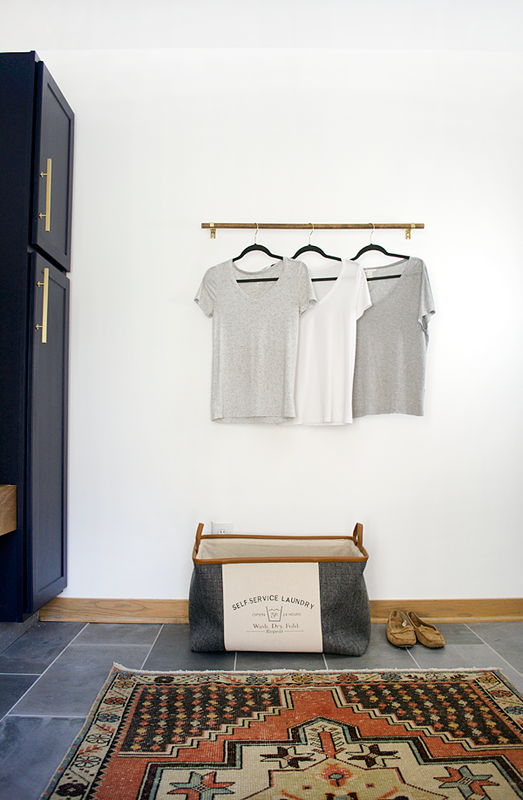 This really couldn’t be any easier and it was a great way to incorporate something functional yet stylish. 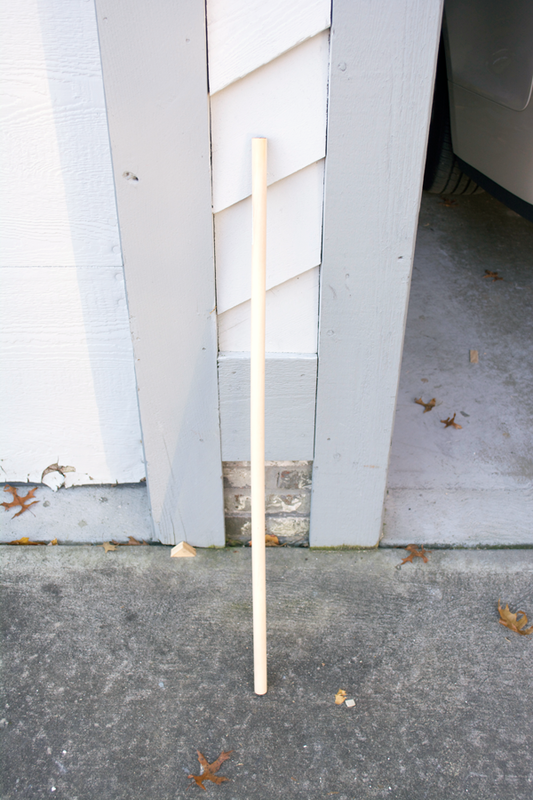 If necessary, cut your dowel rod down to the size you want it to be (mine was about 32″ long) and then stain it in the color of your choice. You could totally leave it as is too! I used the color Dark Walnut. 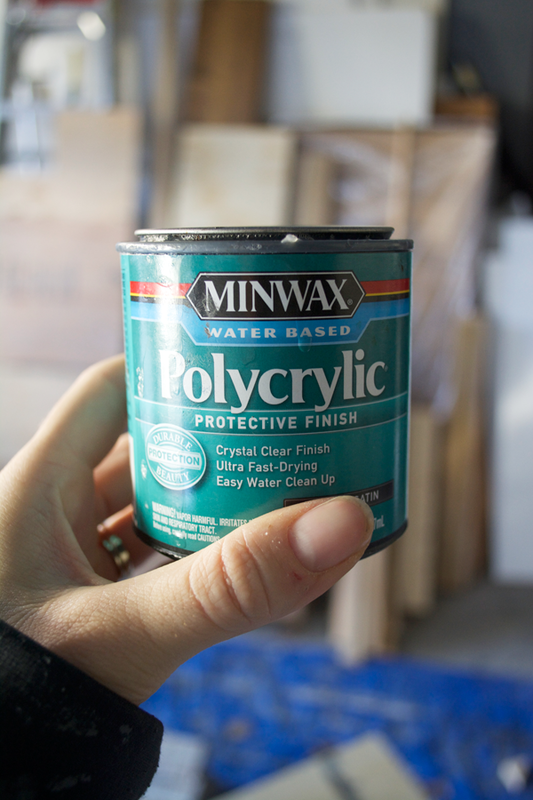 Once dry, apply a top coat to seal your wood. Spray paint your brackets if you need to. 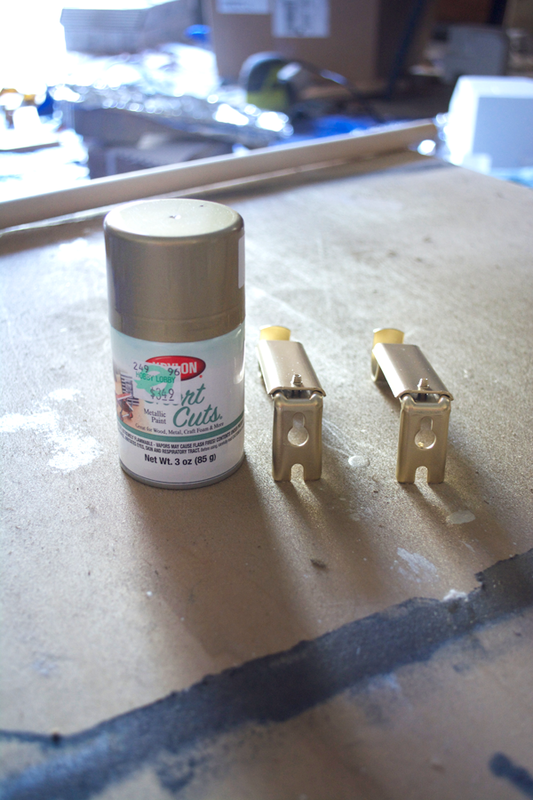 I wanted mine to match the rest of the accents in the room so I gave them a quick coat of my favorite spray paint that resembles more of a brass color than gold. Mine are these Home Decorators ones I got at Home Depot. 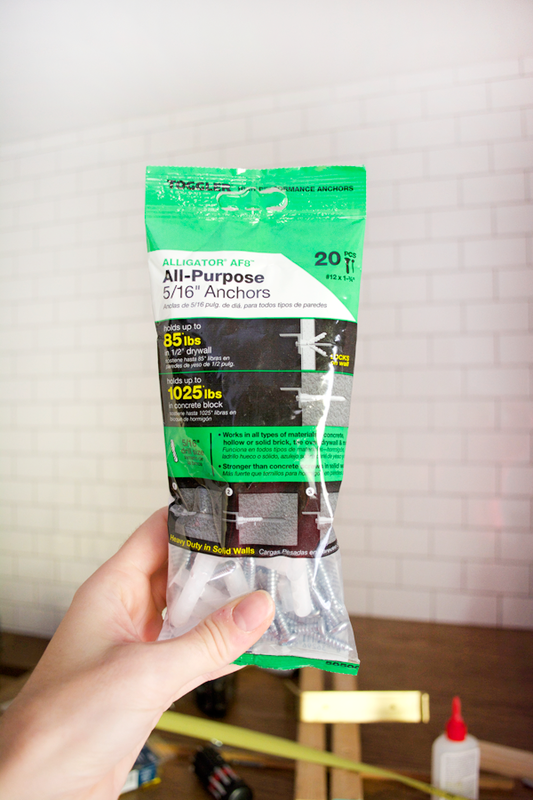 Measure out where you want your holes to be and then use drywall anchors to give you a nice and sturdy hold. Once your brackets are secure in the wall, just place your dowel rod in there and you’re good to go! 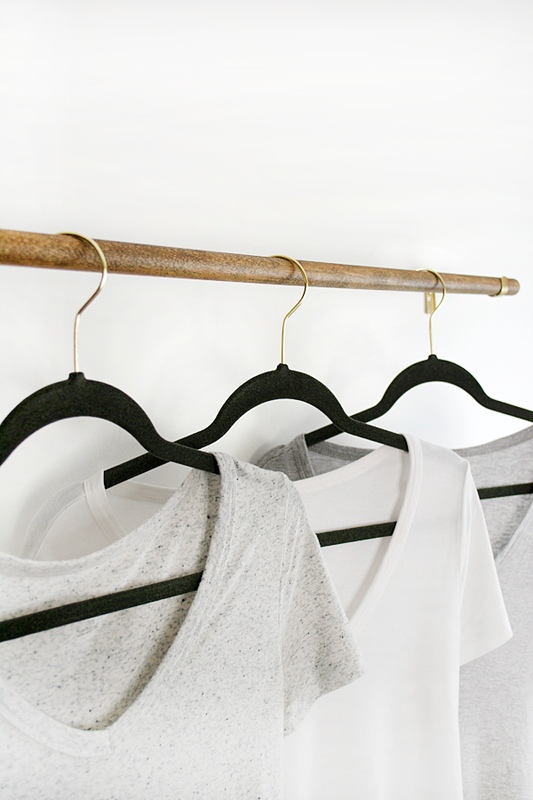 Make sure you get hangers with tops that swivel so they can hang sideways a bit since the rack is so close to the wall. I spent a long time trying to think about how I wanted to make this and in the end it was the most simplest idea that worked the best! It sounds like this would be perfect for your space! It doesn’t stick out far at all, which is what I needed too. I think two of them would look awesome!